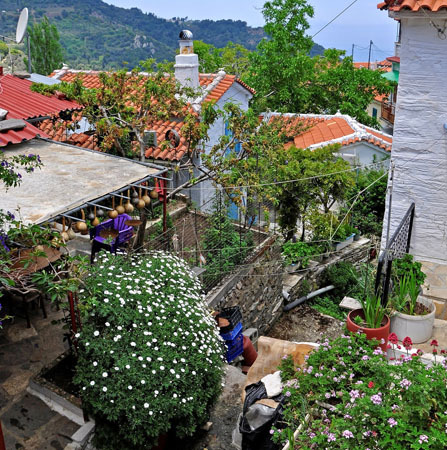 The image of the region is made up of a lush slope with vines, an endless view, a cluster of roofs and the paved streets adorned with fragrant flowers. 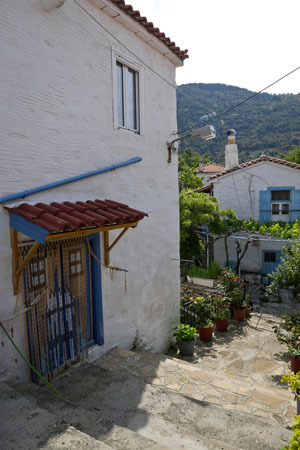 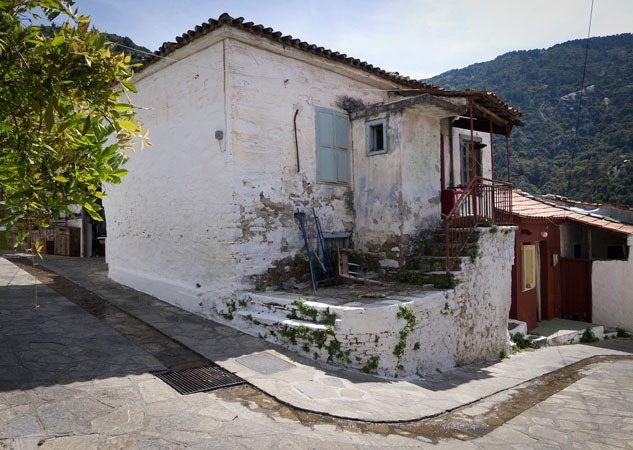 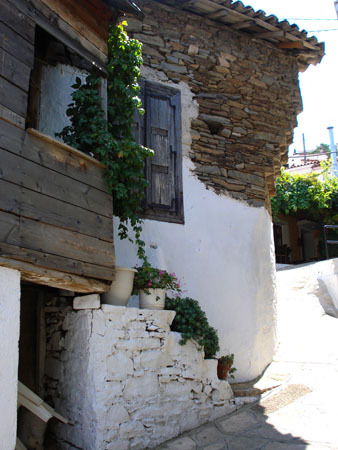 Going uphill between the tall trees in the overgrown areas of Aidonia and Platanakia, just 19 km from Samos to Karlovasi, you see the picturesque village Manolates. 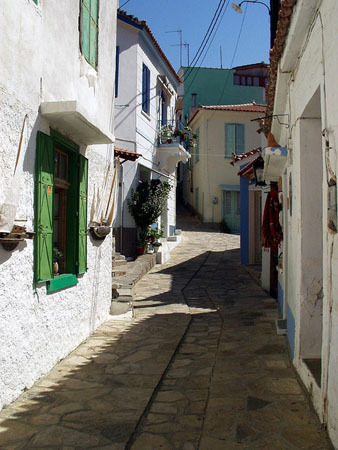 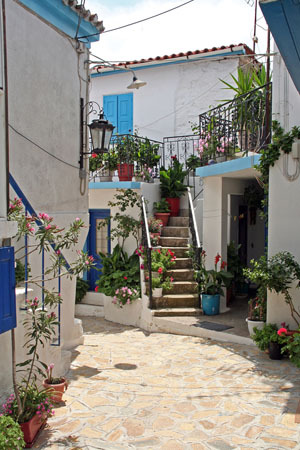 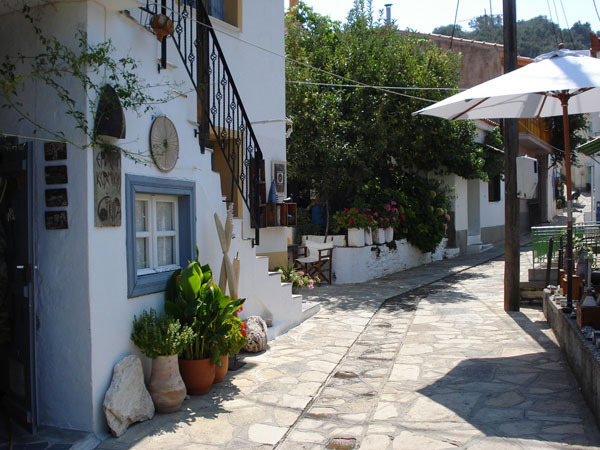 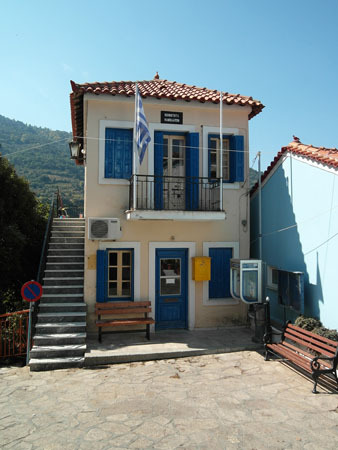 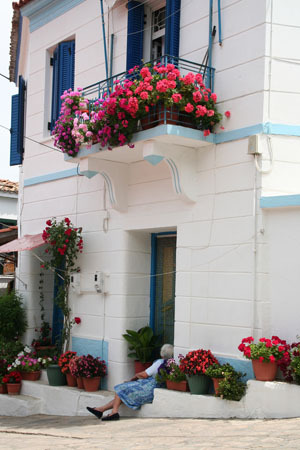 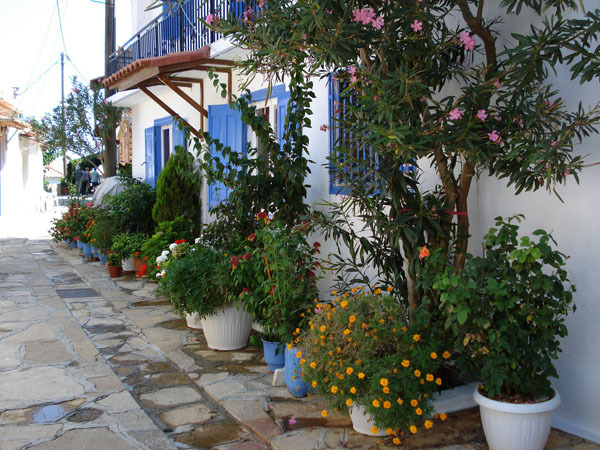 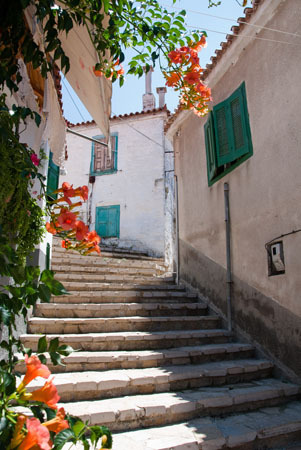 It was named after its first inhabitant, Manolas, and the village developed into one of the most beautiful parts of the island. 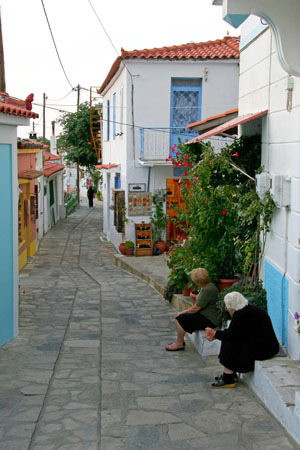 Its few, about 100, residents nowadays are mainly engaged in viticulture and keep their village alive. 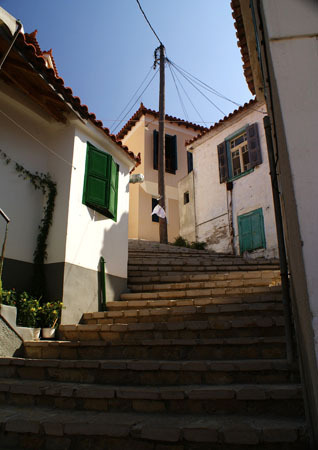 Many foreigners have also settled in the village. 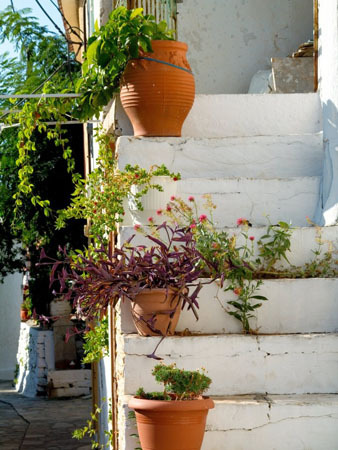 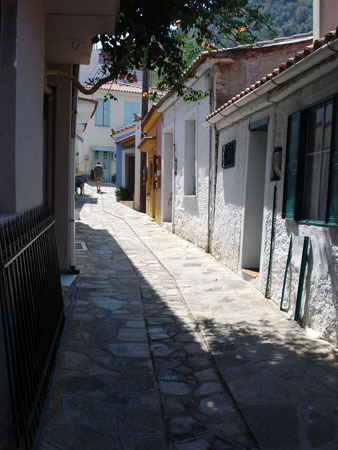 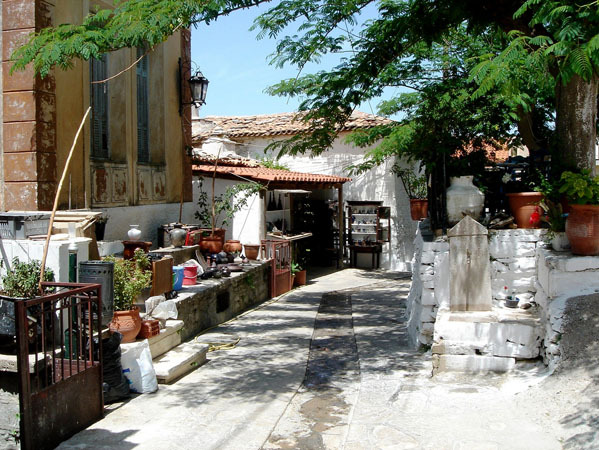 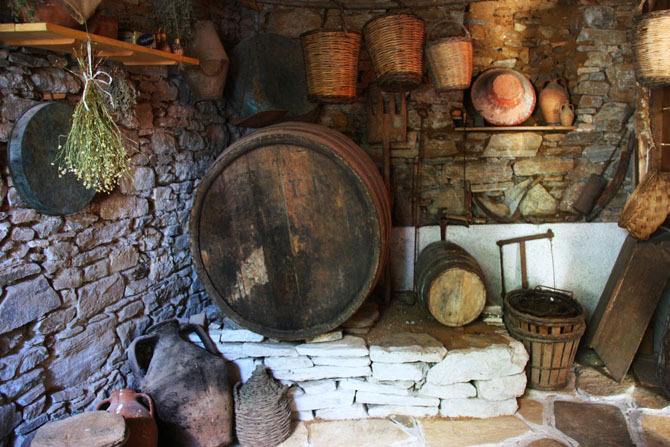 Having a walk through Manolates means that you will see a pottery workshop, esthetic shops with folk art, preserved houses with traditional architecture and picturesque cafes to enjoy your drink or your portokalopita (orange pie) overlooking the shores of Asia Minor.